Perhaps that you haven’t heard about Bloglovin or this is your first time knowing about Bloglovin. If you have no idea what it is actually or you want to learn more about this site, congratulations, you have come to the right place. Reading this article, you will learn about some helpful tips, helping you to maximize its use and how you can expect some benefits by using Bloglovin. There are some questions that are often asked by those who use Bloglovin for the first time. Thus, if you have some problems using Bloglovin, you can read our guidelines and see some solutions related to your problems. Check these out! 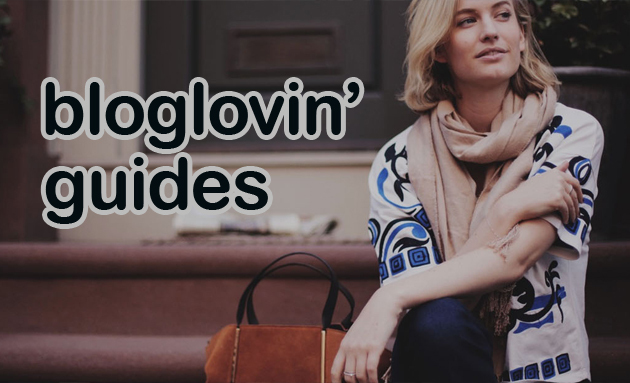 Once you have signed up for Bloglovin, the next thing you can do is to claim your blog. The procedure is done from your Bloglovin homepage. The next step is to search the full URL of your blog in the search bar from the Bloglovin homepage. Be sure that you have a valid RSS, otherwise your blog won’t appear. If the blog won’t appear, find the button “add blog to Bloglovin” then add your blog URL. The last thing you can do is to click “claim it”. You can also claim your blog by visiting My Blog section and click “claim blog” then paste the bloglovin code to your blog (footer, header or sidebar are the best place) and confirm your ownership. You can say that it is almost similar with adding an icon or widget to your Blogspot blog. The first step you can do is to login to Squarespace.com. Once you are there, choose the navigation menu and click pages. Now, the next thing you can do is to hover over the top left of section where you want to add the widget and simply click edit. The next procedure is to hover over the position of the widget that you want to add, and simply click the insert point. Once you have clicked the insert point, you will notice that there is a pop up that will appear. Scroll down and then click the code. Now, you can head back to Bloglovin.com and choose the drop down menu to find the widget section, You can choose a widget for the blog and choose to get the widget. Once the code has appeared, copy and paste the code. The code should be pasted on Squarespace.com. That’s it, you have completed the procedure. Bloglovin lets you to add their Bloglovin widget to numerous sites including Tumblr. Thus, if you have one and you want to have this widget added to your Tumblr blog, the procedure is the same. The first step is very simple, simply sign in to your Tumblr account, and you need to go to the main page of your site. Select the customize option and click the Edit HTML. You are almost finished, search for <body> in the HTML and paste the code from Bloglovin. If you want to have your widget added after the archive section, all you need to do is to paste the code below the archive. Once you have added the code, click the update preview. Check your site, and you will notice that there is a widget that has been added. Connecting your Blog to Facebook is also easy as you can manage your FB account with applications provided by BlogLovin.com. If you realize that the post doesn’t show up on Facebook, this can occur if you have changed your FB password. The solution is simple, try to disconnect and connect your FB account again. Check whether you have the right settings or not. Accessing the account is straightforward, all you need to do is to sign up first. Once you have signed up, you will receive the notification. If you have forgotten your password, you can also try to reset your password. Once you have changed your password, you will receive the new password within a few minutes. If the password doesn’t show up, feel free to contact them. What is My Blog Post? If you have your Facebook account connected to Bloglovin.com, you might realize that all posts that you have made will be shared to your Facebook wall too. Using a Facebook application developed by Bloglovin, this kind of activity is done automatically by Bloglovin. However, if don’t want all posts to be posted to your Facebook wall, you can also disable it. One of the most common questions that Bloglovin users often ask is when they want to disconnect from Facebook. If you have problems disconnecting from Facebook, simply go to settings and click the applications. Find Bloglovin app and simply click the x mark. Why not? There are times when you think that you want to change your email address. Go to settings, and check the top of the page. Enter your new email address in the box. Don’t forget to click the save button. After that, you will receive an email which contains a link to confirm your new email address. This link is used to confirm that you have changed your email address. How to Upload Your Own Photo Without Using Facebook? Uploading a photo to Bloglovin is also easy, and if you want to change the photo without using Facebook, simply go to Settings. Click profile and upload your new photo. You can also edit your name, bloglovin username, add your location, and adding bio. Once you have used Bloglovin, it is very simple to find the latest updates from all sites that you have followed. What does it mean? It means that you don’t need to check the website one by one. You will receive the latest updates on your iPad, iPhone or even android phone. However, there are some cases in which you are unable to get the latest updates from all sites. If that’s the case, don’t worry, there are several things that you can do. Press the Bloglovin app and all icons are vibrating. The next step is to press the red mark which is located on the app. Now you can open the Bloglovin app which is located on the home screen. If you have tried the procedures above and it doesn’t help, feel free to contact support. What you need to do is to manage all of your websites that you have followed by clicking subscriptions section. This is the place where you can manage your favorite sites and decide which site that you want to remove. Another important consideration that some users may experience when using Bloglovin is that they can’t comment through Bloglovin. For this kind of situation, there are some tips which can be used. Check the settings and see whether it has been set to let you comment through Bloglovin. Of course, those who can manage the settings are the owner of the blog. If you want to change the category of your blog, be sure that you have claimed your blog first. Once you have claimed your blog, you should be able to find your blog on “MyBlog” section. Simply go to the Edit Blog info and click choose category. Once you have chosen the category, don’t forget to save the settings that you have made. Note that you can also drive more traffic to your website using Bloglovin. To drive more traffic, the key is simple, all you need to do is to have your post shown on the Bloglovin popular page. This way, you can rest assured that there are more visitors visiting your site. Of course, it is not easy to have your post shown on the Bloglovin popular page. To achieve this goal, you need to get likes or saves as many as possible for your post. Bloglovin uses its own algorithm when deciding whether your post can be listed on their popular page. The good news is, if your post is listed on their popular page, you can also expect that the post will appear on another page. For example, if you are writing an article about fashion, this post will appear on Popular “Fashion” category too. Our tests have shown that you will get around 100-300 unique visits if your bloglovin’ post appear on Bloglovin’s popular page. Want to prove it? Click here! For those who use Self-Hosted WordPress, it is possible that each time they post something, the image doesn’t appear. This issue occurs due to the settings that the WordPress users have applied. The solution is very simple, the users should use full text feed. Go to your wordpress admin dashboard >> Settings >> Reading >> Choose “Full Text” Feed. Another benefit of using Bloglovin is that you can also check who is following your blog. In addition, you can also see the number of followers that you have. You can also decide which blogs that you want to follow and set them to public thus others will know what blogs that you have followed. You can also set this setting where you can follow anonymously. To change these settings, simply go to www.bloglovin.com/subscriptions . Another common issue that Bloglovin users may experience is that they can’t add their blog. Adding a blog to Bloglovin is easy but if you have some problems, there are some things you can do. If you can add your blog by searching the full URL of your blog, this problem may occur due to your blog’s RSS feed. Check whether Your RSS feed is valid or not. By using this http://validator.w3.org/, you will be able to check whether your RSS is valid or not. Simply enter the address of the RSS feed and click “check”. If you realize that your RSS is invalid, the only solution available is to contact those who are responsible with the technical issues of your blog. Bloglovin is a great way for blog owners and want to drive more traffic to their blog. Using Bloglovin, you can build your site and gain more visitors coming to your site in a better way. You don’t need to waste lots of energy doing other strategies which can harm your site. Instead, using Bloglovin, you can get more visitors effectively as long as you can write high quality articles. 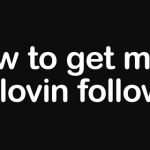 Read more about how to get more followers on bloglovin. Can I put up a post on bloglovin even though I don’t have a blog? How do I get followers without having a blog? You need to have a blog so bloglovin can show your posts on your bloglovin account. This is very easy, You can login to your bloglovin account and choose notifications you didn’t want to receive. i have made a big blunder. while moving my bloglovin followers to my new blog, i moved the wrong blog. how do i undo this ? please help. AFAIK it is permanent and cannot be undone. My website appears twice on bloglovin, even though I have claimed one. One appears blur and the other doesn’t. Is there a way to fix this duplicate website thing? You need to contact bloglovin directly to fix this issue.